It all started almost a year ago when I made my first DIY floral head dress, it was simple and wearable in a sense that it didn’t attract that awkward attention from people—no disapproving looks, no gawking, no “that-looks-weird” glances, maybe there were a few double takes but they came along with smiles and to top it all I got compliments when I wore it to the Houston Bridal Show so the overall response to the head dress was good. I might have worn it to the right event or maybe it didn’t look too loud next to my equally attractive(ly loud) friends (ehem,..yesss, I am stroking your egos), but since then I’ve had all the materials sitting in my closet untouched until this very day. I’ve decided to have my flower girls or maybe my ladies-in-waiting (junior bridesmaids) wear mini floral head dresses as they walk down the aisle (inspired by Kate Moss’ wedding). Personally, I’ve always been drawn to them, there’s just something so ethereal about them and of course they’re cute add-ons to the vintage theme of my wedding. Either ways I’ve decided to practice my head dress making skills, just in case. What convinced me more to learn how to make these instead of purchasing it was the fact that these floral things were outrageously priced online especially on wedding websites. On Etsy I’ve seen floral head wreaths priced somewhere from $15-$50, at a glance the craziest I’ve seen was priced for $220ish ( I wonder what kind of materials they used) Designer floral head wreaths perhaps?!? If my DIYs are good enough then maybe I should just try selling them. 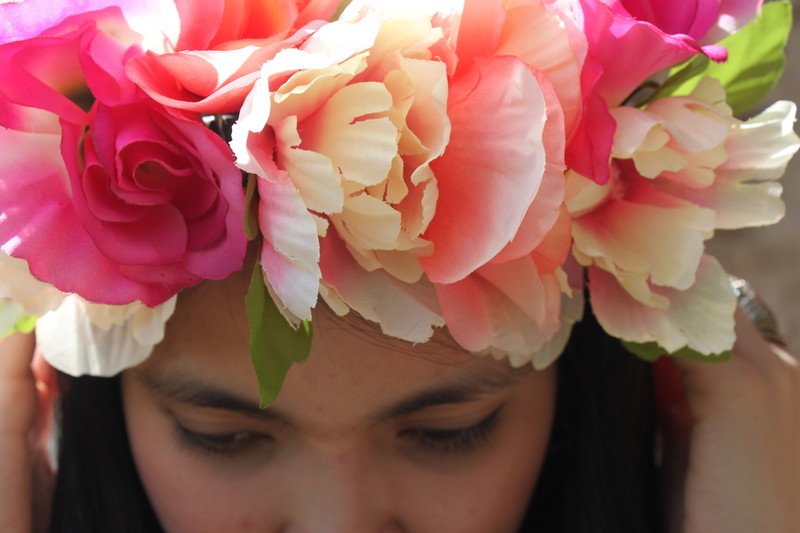 I’ll probably be posting more of my floral head wreath creations in the next succeeding blog entries. 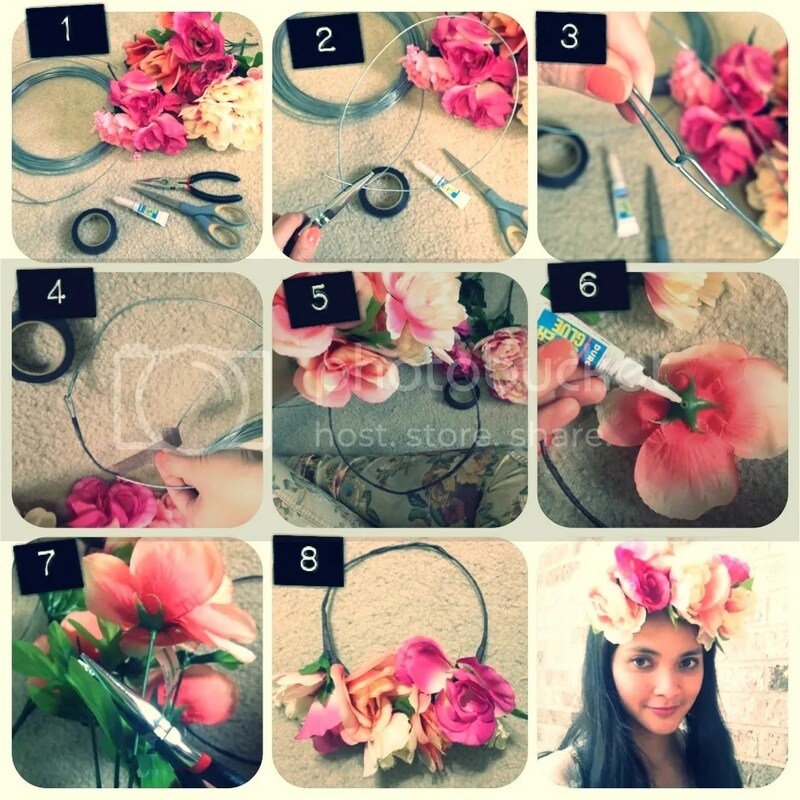 For now I’m going to show you how to DIY this gigantic head wreath inspired by other fashion bloggers like Chloe Ting of Chloe’s Addiction. 2.) Determine the circumference of your wreath. For a perfect fit, wrap the wire around your head to measure it manually then cut wire with wire clippers. Make sure to leave a few inches for the flowers that you will be attaching later. 3.) Secure the wreath by attaching both ends of the wire and hooking them together (forming a circle). 4.) Wrap the wire with floral tape. Make sure that you cover everything, including the hooks. 5.) Prepare the flowers (or shrubs) that you want to attach. Have a design in mind. 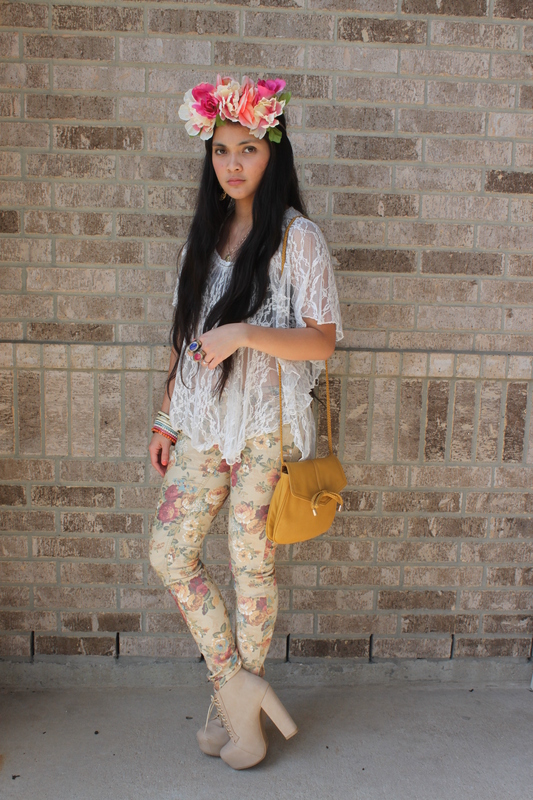 For this one, I decided to make one that would match the printed floral jeans I was wearing that day. 6.) (Additional step) Temporarily detach the flowers from the floral wire and put some super glue before attaching them back together. This will secure the flowers and make sure they won’t fall off once they are attached to the wreath. 7.) Cut the flowers that you want to attach to the wreath. Use wire clippers. 8.) Based on your design in mind, attach the flowers to the wreath with the same floral tape that you used to wrap around it. 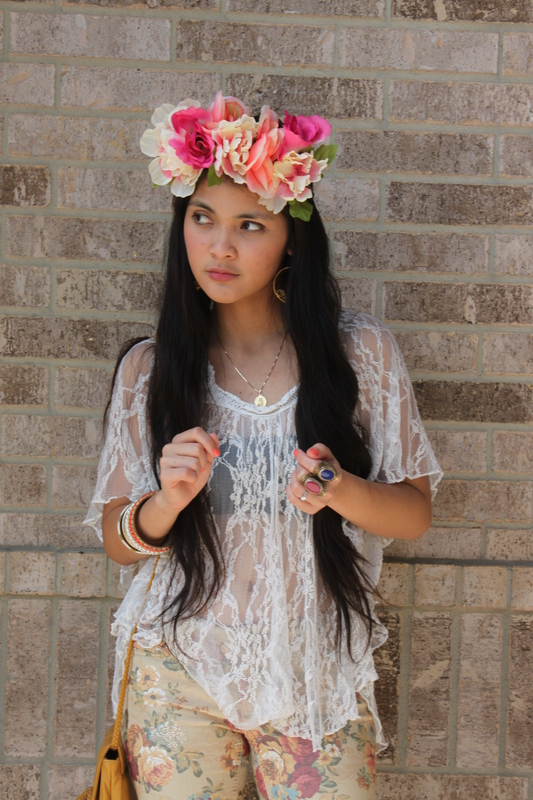 …And here’s my outfit with my DIY floral head wreath. 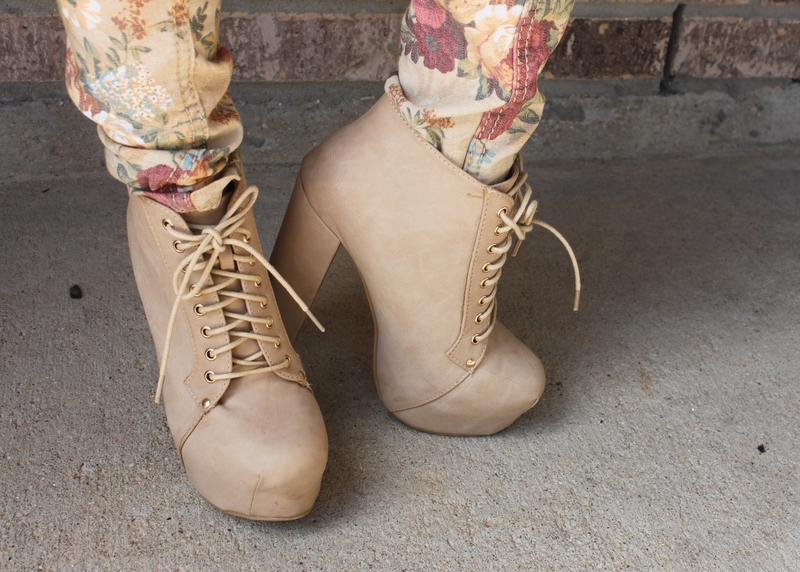 Platform booties from Discount Women Dress Shoes online. Got them for $25. 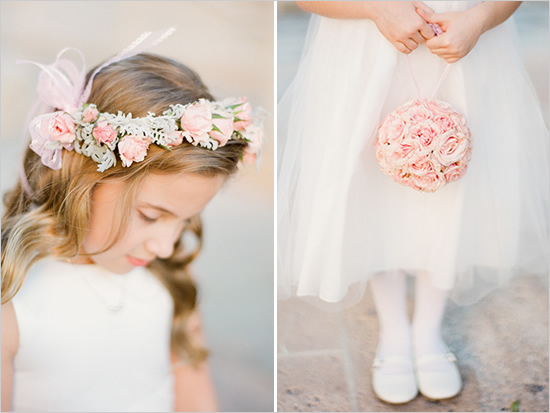 *For those Vintage Bride-to-bes, here’s a cute blog post about Floral Bridal Crowns from Chic Vintage Brides.